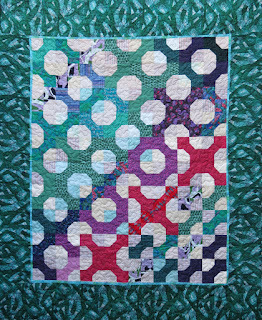 In 1988 Diana Dehler founded Children's Quilt Project to make quilts for children with AIDS. The project grew with tremendous community support, and when it officially ended in 1996, the Children's Quilt Project was adopted by EBHQ under the name of Children's Quilts/EBHQ and headed by Deanna Davis. 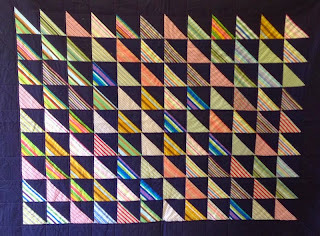 This grew to include the Community Quilt Bank where our members made larger quilts for families of disasters. Deanna Davis tirelessly organized and led these projects until her death in March, 2015. Her impact was so great that now a committee is needed to fill her shoes. After Deanna's death, EBHQ's Board of Directors voted to rename Children's Quilts/EBHQ to Deanna Davis Community Quilt Project (DDCQP). Over the years EBHQ has provided thousands of small and large quilts to the greater East Bay hospitals and shelters as well as to disaster victims across the nation - Louisiana and Oklahoma - and worldwide - Japan & Africa. Quilts for Napa earthquake victims here.